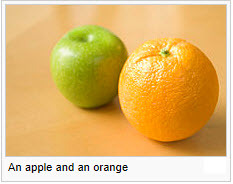 Apple and Orange Comparison: Statistically Fruitless or Fruitful? Can a statistical analysis of apple- and orange-variables be performed and make sense? What do you say? Please email me at br@dmstat1.com.